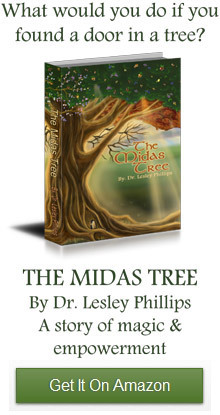 In my last post I talked about my plan to make a book trailer for the Midas Tree. Yesterday morning I created a script for the trailer, which I am pleased with. In the afternoon I meditated on how to make it into a film that can be posted on YouTube. I realized I know a lot of people who have expertise in this area and so I reached out to them for tips and tricks on what the next step should be. Sometimes I feel overwhelmed by the enormity of publishing and marketing a book, but my meditation helped me to see that I am not alone in this endeavor. It also reminded me to take it one step at a time. I only feel overwhelmed when I am focusing on the future and not the present. By being in the present moment we can take a big project in bite size chunks and not be swallowed up by the sheer scale of the venture that lies ahead. Being in the Present Moment Helps Get Things Done! This reminded me of the story or Ariadne, Araneus and Joshua from Chapters 5 and 6 of the Midas Tree. Ariadne teaches Joshua to be in the present moment. This helps him come up with a plan to escape from the spiders’ lair and to enjoy him self while he is carrying out the actions in his plan. In the end the co-operation of the spiders is what helps Joshua leave. 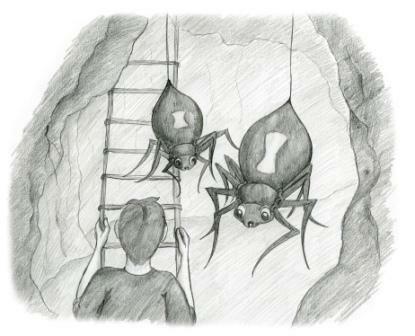 He helps the spiders in their romantic liaison and in return they help him leave the lair. Next time you find yourself feeling overwhelmed. Remember these two simple ways that help get the job done: be in the present moment and allow yourself to receive help!